Welcome to 30 Days of cool pictures, thoughtful articles, and intriguing facts related to the Red Planet. Follow me on Twitter or Facebook for daily updates on my Tumblr, Pinterest, and Instagram accounts! Hopefully, by now you’ve had a chance to see THE MARTIAN (review here) and you’re excited about the possibility of sending humans to Mars. Did you know there are people practicing for this right now? Here on Earth? But I’m getting ahead of myself. Let me back up. In writing the SAVING MARS books, I was intrigued by the idea of having two world cultures which had solved their “how do we get along” issues in very different ways. The Rebody Program on Earth was meant to ensure a level of stability while incentivizing humanity to be on their best behavior so as to earn a better “rebody” when the time came. In contrast, the harsh realities of life on Mars would incentivize humans to be on their best behavior because it wouldn’t do to offend the neighbor who might save your backside during the next dust storm, power outage, and so on. While I was writing, I worried often that I was making my Marsians “too good” to be true. While I had no problem believing an individual like Secretary General Mei Lo would behave selflessly on a regular basis, it seemed to me I might be stretching the truth about humanity by positing an entire culture where “we need one another” was a byword. Imagine my delight when I came upon a post written by a participant in a simulated long duration Mars mission which addressed the issue of getting along in the tight quarters of a Mars Analog Habitat. 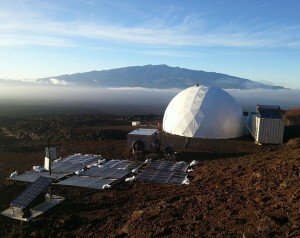 There have been some pretty cool Mars Analog Habitats in the past twenty years, but none has been more ambitious than one happening right now called HI-SEAS, an acronym for Hawaii Space Exploration Analog and Simulation. Six men and women are currently simulating a one year, long-duration Mars mission on Mauna Loa in Hawaii. You can find their blogs here, including one in German and one in French in case any English speakers want to get some language practice in while learning about life on sMars (simulated Mars). Gifford continues, “If you just can’t imagine living in harmony in a 1000 square foot dome with five other people, think about it this way: No matter how much someone may vex you, if you need them to eat, drink, and breathe you are going to find a way to get along with them.” Wow. That. I’d encourage you to read the article in its entirety to see what else Gifford has to say about life on Mars. Er, sMars. And after you make your way through Gifford’s blog, there are five more crew blogs to enjoy! Our last potato! Hee! Nice. A lot would have to change for this to be possible. We are currently too independent and are offered too many alternatives to consider “getting along”. I agree with you and it saddens me that so few put forth an effort unless it is required. I think you fret too much. While the people of Mars, in your books, were mostly good, they weren’t all good. You introduced some truly diabolical characters on both worlds. Personally, I loved the entire series, and have been going through Mars withdrawals since finishing it. I may have to start from the beginning again. If chances for survival are higher with companionship, regardless if we like our dislike each other we will work together for that sole purpose. Stracey, <3 <3 <3 . So true. I think that it is possible. At one time people didn’t think we would land on the moon. would love a real book signed by you. all I have are the ebooks. I would love to hold one in my own 2 hands while dreaming about being on Mars or in space anyway! Thanks, Susan! I love my readers! I read Saving Mars over the summer and loved it. With all the hype about the Martian I’ve been telling friends about your series. Oh ya, I think we should all be optimistic, otherwise why bother? Gosh, Kriston, thanks for telling your friends! 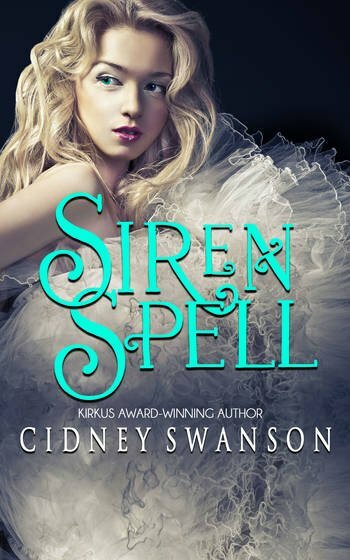 If they have Kindle Unlimited, they can even read it for free right now! Have you seen The Martian? It’s amazing!! !